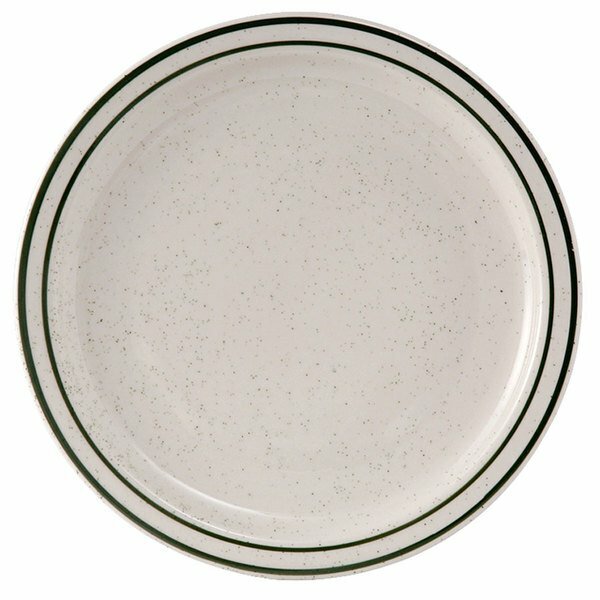 The 7 1/4" narrow rim Tuxton china plate is from the Tuxton Emerald collection and is american white (ivory/eggshell) with a green band and speckles, a great addition to the place setting. 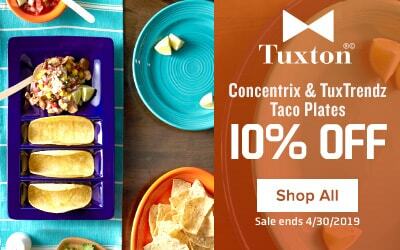 Use this attractive Tuxton TES-007 to serve salads and appetizers. 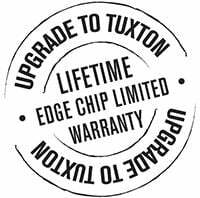 This sleek, simple, and sturdy Tuxton plate is fully vitrified to prevent moisture absorption. This durable piece stands up against breakage, chipping, and scratches commonly caused by the wear and tear of every day use. First, I absolutely love the look of these plates. Perfect for my holiday dinner. Dishwasher safe, oven safe and microwave safe, cant beat that. Easy clean up! The dishwashers love them, the waiters like them for their presentation and the customers like them for the solid weight and size. 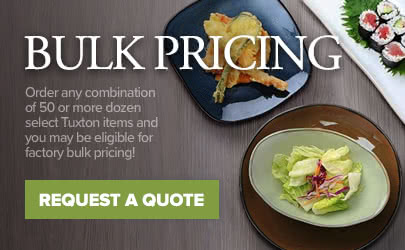 They are a perfect all around plate to use in your restaurant.